It is safe to say that computers have become a household staple. In fact, most households probably contain more than one computer. This can include desktops, notebooks, tablets, and even smart phones with Wi-Fi act in the same manner as computers. Whereas computers at home were once primarily used for work or school purposes only, computers now play a very different role for families who rely on them to perform a lot of different functions on a daily basis. Since home computers get a lot more daily usage, computer owners must pay more attention to daily upkeep and maintenance if they want to get the most out of their machine. This goes beyond the age old debate of whether or not to turn your computer off or leave it on, or whether or not to unplug your laptop or leave it plugged in 24/7. A computer’s lifespan depends on much more than that these days. While these types of concerns should still be addressed, computer owners who use their machines on a daily basis have a lot more to contend with than battery life and power source issues. Computers have become so much more than word processors and data entry machines. People use computers as televisions, stereos, telephones, and portals to the internet where they connect with friends, gather information, shop, and so much more. It is no surprise that as people have expanded the ways in which they use computers on a daily basis, they expect more from their machines. On the other hand, as computers are relied upon more to complete daily tasks, they also become more susceptible to threats that can severely impact their ability to function normally. These threats include viruses, system errors, driver errors, faulty software, and so much more. What is why many computer users hit by viruses easily. Many of them got Firefox redirected to Search Babylon virus, or browser hijacked by ilivid virus. What is more, some other victims suffered from counterfeit $recycle.bin virus, locked $300 virus scam, FBI locked virus scam, FBI virus and scam from police asking for 100 or Cheshire Police Virus. What to do when your computer is locked by metropolitan police? This is on top of the toll normal daily use and wear and tear can play on your computer’s hardware. With all of these potential threats out there, it is up to you to become a more responsible computer user, especially if you heavily use your machine on a daily basis. It is also up to you to make sure you family, friends, and anyone else who uses your computer is aware of how to safely operate your machine on a daily basis to ensure it has a nice long life. Computers are an expensive investment. The last thing you need is to constantly worry about taking your computer into the repair shop regularly, or even worse, to have to purchase a new machine prematurely because of irresponsible daily use. Recently, computers have gained a bad (and sometimes warranted) reputation for giving out after only a couple of years. This unreliability can become quite costly and extremely frustrating, but this does not have to be the case if you learn how to safely use your computer on a daily basis. Below you will find four important tips on how to keep your computer running like a well oiled machine for many years to come. While following these tips will help you lengthen the life of your computer, perhaps the most critical element to ensuring a long life for your computer is to equip yourself with the knowledge and skills to recognize potential problems and fix them quickly. You know the old saying, “Knowledge is power.” Well, this couldn’t be truer when it comes to virus threats and your computer. It is no exaggeration to say that viruses account for the majority of computer malfunctions. Once a virus takes hold, it can destroy your computer from the inside out, slowly infecting files, folders, and programs until your computer is no longer operational. Viruses are frustrating to deal with, and in the end, they tend to win the battle. Crippling computer viruses can be avoided, however, by adhering to best practices when using the internet. You have undoubtedly heard all the warnings about clicking on links, downloading material, visiting web sites with questionable content, and more. Nine times out of ten, when a virus infects you computer, it is usually as a result of some action taken on your part. In order to avoid viruses, you should continually read up on the latest virus threats circulating on the web. Hackers are constantly upgrading, enhancing, and changing the malicious code associated with viruses, so what you thought you knew last week about the most common viruses might be different this week. Stay informed and let your friends and family know about threats as well. This also includes using common sense when opening emails and email attachments. Always follow the old rule of thumb, if you aren’t expecting something, don’t open it. This is true even if you know the sender. Hackers can disguise their identity and send you email under false pretenses. They try to lure you in and trick you into opening attachments or links that contain malicious code. Any clicks will lead to suffer from Police Cybercrime Investigation Department Virus, FBI Antipiracy Warning virus or Homeland Security Virus. Don’t fall for it! Stay alert and stay smart. By being an educated computer user, you can save yourself a lot of hassle and a lot of money. Antivirus software can be very effective in protecting your computer against harmful viruses, but you must regularly run scans in order for this to be true. If you don’t think you will remember to scan your computer for new threats every few days, you can take advantage of automatic settings available on most antivirus programs. You can also enable automatic updates so that you never have to worry about running the latest version of your software. Keep in mind that antivirus software is not necessarily a catch all. While antivirus software makers work hard to keep up with the constantly expanding and evolving nature of viruses, some threats are still powerful and sneaky enough to evade your computer’s security system. Even still, antivirus software is the best defense you can choose to protect your computer from harmful virus infections. By investing in good antivirus software up front, you can prevent large computer repairs bills, or worse, total computer replacement. Make sure your computer is protected today! Whenever you install a new program or software onto your computer, it is a good idea to scan them for potential viruses before loading them. You might think that it is safe to purchase brand new software since it couldn’t possibly be infected, but this is not always true. Hackers are so advanced that they can infiltrate software even while it is still in development. If they infect software during production, there is a good chance that the infected software will be distributed on a large scale, putting a lot of computer users at risk. This is highly sophisticated and does not happen very often, but you would rather be safe than sorry, right? You should also be very careful if you purchase previously owned software. If you decide to buy used software, make sure it is from a trusted source. Trying to save a few bucks on software won’t be worth it in the end if you end up with a nasty computer virus. You can also protect your computer by running virus scans on any programs you download. Sometimes it is impossible to avoid a computer virus. Determined hackers have a lot of tricks up their sleeves and they don’t relent until they get what they want. That being said, you should still do everything in your power to prevent viruses from infecting your computer. While it is possible to replace computer equipment that has been destroyed by a virus, it is much harder to repair the damage a hacker can create if they get a hold of your personal information. Ultimately, a hacker’s goal is to obtain credit card information or bank account numbers, along with personal identification information like your social security number. If you can stop hackers before they have the chance to do any damage, you can ensure that your computer and your home network will remain free from debilitating viruses. One of the best ways to intercept hacker activity is by installing a personal firewall program. Firewalls can sniff out danger and keep out any unwanted visitors from invading your home computer network. A personal firewall program constantly scans ports for threats and ensures that your IP address is never compromised. A personal firewall along with a good antivirus program will work to keep out the majority of common computer threats. These precautionary measures ensure that you and your family can use your home computer on a daily basis and stay out of harm’s way when it comes to nasty viruses and malware threats. When you combine effective computer security tools with your knowledge of viruses and smart computer usage, you will have the strongest defense possible against hackers and their malicious intentions. Remember, you cannot rely on security tools alone or your own responsible computer usage alone to prevent against viruses. By implementing security tools, you will give yourself a major advantage, but ultimately the decisions you make while surfing the web, downloading material, or installing new programs will determine how safe you are from virus and malware threats. Hackers are always going to develop new ways to infect computers and infiltrate home networks in order to make money. They will stop at nothing in order to get what they want. This does not mean that you should stop using your computer altogether, though that certainly would stop computer viruses completely! The bottom line is that if you make bad decisions when using your computer, you will end up with bad results. Always remember this saying when you are using your computer, “Garbage in means garbage out.” This will remind your computer’s output will rely heavily on what you put into it. If you follow these four tips on a regular basis, you will be able to safely operate your computer daily without running into a lot of virus related issues. Let’s face it, if you invest in a computer for your home, you probably expect (or at least hope) it is going to last a long time. In order for your computer to live up to your high expectations, you have to help it out a bit. You can pick a few blogs to read daily by some trusted computer security experts in the industry. This way, you can add these sites to your RSS feed and never miss the latest news and updates on viruses, bugs and malware. Some may say print is dead, but if you want to stay on top of the latest technology security issues, you can also subscribe to a magazine that focuses on computers, primarily virus removal and malware recognition. Using your computer on a daily basis will result in normal wear and tear, but just like any piece of equipment, you can tack on a few more years to its lifespan by performing regular maintenance and maintaining a system clean of viruses. 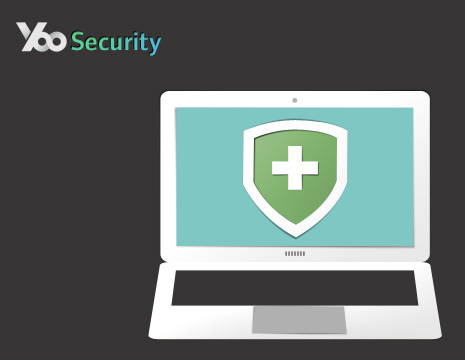 You will be glad that you took the time and energy to set up these security measures the next time your antivirus software quarantines a major virus threat! If you have no concept of PC maintenance on a daily basis or just had problems on your computer already, you are welcome to contact YooSecurity professionals for specific solutions.